With the introduction of this new choke valve, Mokveld once again sets the benchmark for production uptime. Based on the Total Velocity Management® concept, choke erosion has been reduced by a factor of 4. 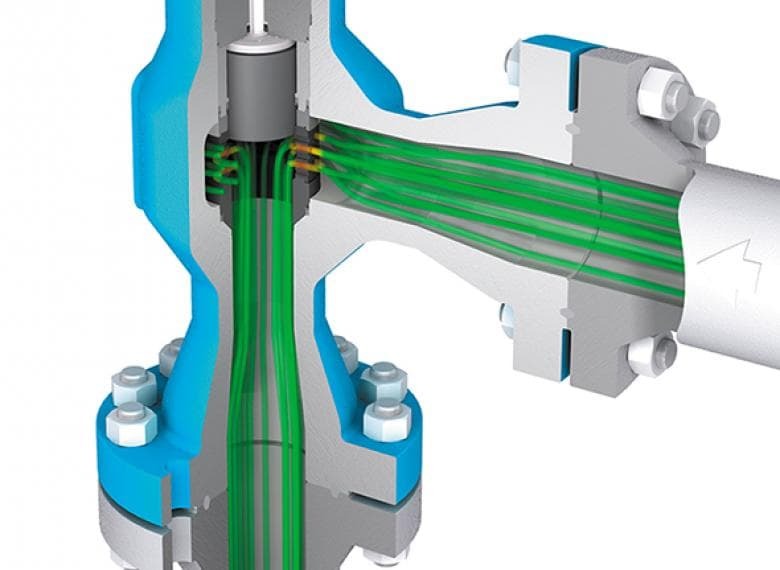 Total Velocity Management® concept: intelligent valve design that carefully manages fluid velocity in all areas of the valve, minimising erosion in body and trim. The improved Mokveld gallery area and flow-path design means the valves offer maximum production uptime. The pressure-balanced trim and the low-friction lip seals allow small actuators and accurate control (also with minimum opening). 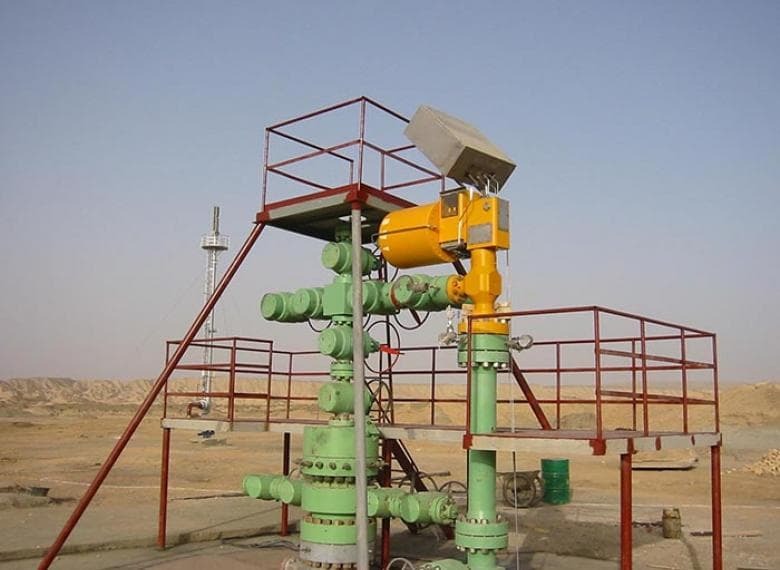 High capacity and accurate control features make the valve appropriate for both start-up and well depletion production scenarios. One-valve solution for full process envelope. Upon request the choke can be equipped with a FloSafe bean® to provide ultimate protection against relief system overload. The screwed safety bonnet prevents the well-known ‘closed-in pressure risk’ with disassembly, associated with bolted bonnet chokes. The weight of the choke parts is low, and their number limited. This ensures easy maintenance and reduces lost production time. With angle transmission installed, the choke can be maintained without removal of actuator and instrument connections. Wide variety of liquid, gas and multi-phase trims in linear and equal% execution. Special RCU large hole trims for dirty well clean-up service and RDS high capacity trims for minimized pressure loss at well depletion stage. Full range of matching Mokveld pneumatic and hydraulic actuators with tailored control arrangements is available. (Low power) electric and electro-hydraulic actuation is also available. 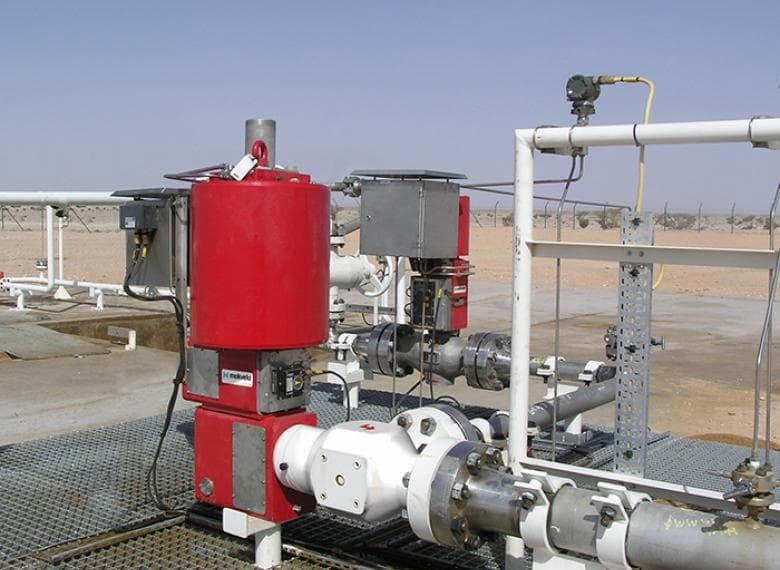 Available integrated Mokveld actuators for the angle choke valve.